Ooh this summer heat! Sometimes we have fruit that gets a lil too over ripe for our own good! Waste not!!! You can use it to make lovely granita….. The riper the fruit the sweeter it is and that way you dont need to add sugar. 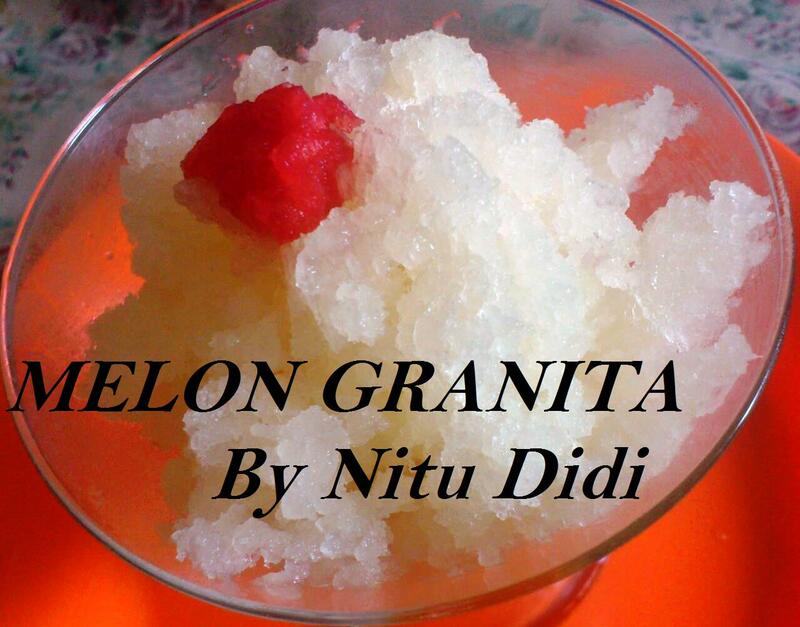 I made this granita out of melon but you can make it out of any juicy fruit. You can add mint to it. I did not have any.,….but i will give you all the options. 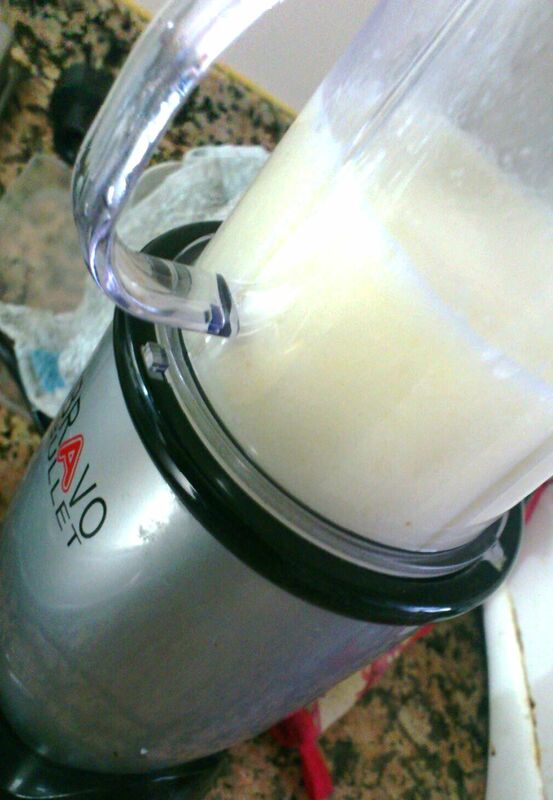 I used my amazing bullet to puree the fruit and then saved the puree in the jug and put it into the freezer. Puree the fruit with the sugar and lemon juice and then freeze it. Once its frozen remove it from the freezer about 15 minutes before you want to serve it. For the alcoholic version : you can add some rum or vodka to this and make yourself a lovely fruity cocktail!! Fruits which taste yummy pureed? watermelon, peach, nectarines, strawberries, blueberries, raspberries, mangos, kiwi, lychee, the list is endless…you can even use a variety of fruit! This entry was posted in Cocktails, Eggless Sweet Temptations, Everything Vegetarian, Gluten Free, Healthy Options, Jain recipes, Low Cost, Magic Bullet, NO OIL RECIPES, Quick Recipes, Vegan and tagged amazing bullet, fruti, granita, mint, puree, slush. Bookmark the permalink. Granizar el melón, no se me había ocurrido nunca. Muy buena y rica idea.